With Sloaney Season in full swing, we have been making the most of the shopping opportunities at some of Britain’s most prestigious events of The Season. At Badminton Horse Trials this year, Kate Negus unveiled a stylish new range of accessories. The renowned equestrian company is known for producing top quality saddlery and has now chosen to develop desirable accessories for humans, as well as horses. 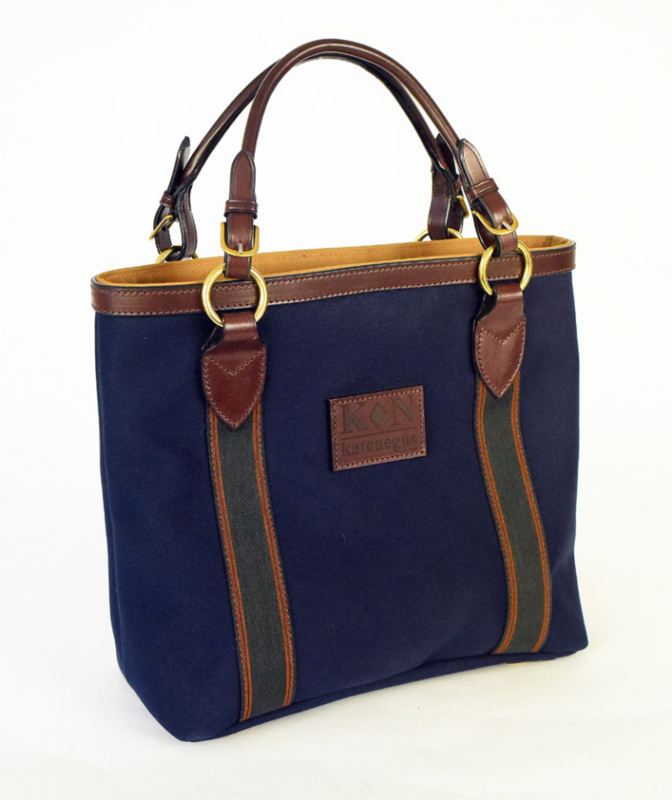 The Kate Negus Lifestyle range features a striking collection of equine-inspired bags. Some of the items within the range have limited edition status, which provides an extra level of exclusivity. The KN Signature Black Tote (£190-£210 pictured above) is handcrafted in Britain and incorporates full-grain English bridle leather for the handles. The bag has multiple internal pockets, which makes it perfect for your work wardrobe and equally useful for weekend trips. The KN Ice Leather Badminton Bag (£225-£275) is another highlight. It comes in a striking duck egg blue and there are only five of these available. Made from buttery-soft leather, the bag features the iconic KN bridle pin. If you are travelling a lot during the coming months (get some inspiration from our travel pages), we recommend taking a look at the Limited Edition Organiser Wallet (£85 pictured below) by Kate Negus. This is an essential accessory for those who are passing through airports with their family and have multiple passports to manage or other important items to prioitise. It sits inside your handbag and means you can easily access key items that you need so there is no more searching endlessly for your keys or credit cards. Once you have one, you won’t be without one!